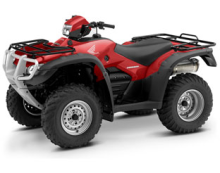 American Honda Motor Company of Torrance, Calif., is recalling about 65,000 Recreational off-highway vehicles (ROVs). The muffler can overheat, causing the plastic heat shield to melt or catch fire, posing a fire and burn hazard. 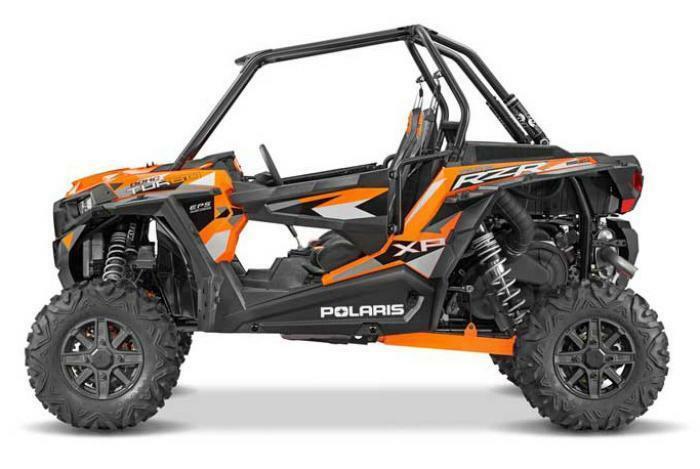 Polaris Industries of Medina, Minn., is recalling about 1,300 model year 2018 RZR XP Turbo S recreational off-highway vehicles (ROVs). In the event of a high-speed rollover, the rollover protection structure (ROPS) can fracture, providing inadequate protection during a rollover. The firm has received six reports of rollover protection structures fracturing during rollovers. Polaris also has received one report of an injury but does not attribute it to ROPS fractures. Polaris Industries Inc., of Medina, Minn., is recalling about 43,000 Polaris Ranger 570 ROVs. The ROVs can overheat during heavy engine loading, slow-speed intermittent use and/or high outdoor temperatures and catch fire. The company has received seven reports of the recalled ROVs overheating and catching on fire. No injuries have been reported. This recall involves 2015 and 2016 model year Polaris Ranger 570 recreational off-highway vehicles (ROVs). They have either two or four seats and a rear box. “Ranger” is printed on the rear box and “570” is printed on the hood. “Polaris” is stamped onto the front grill. The ROVs were sold in several colors. The ROVs, manufactured in Mexico, were sold at Polaris dealers nationwide from August 2014, through June 2016, for between $10,000 and $12,500. Consumers should immediately stop using the recalled ROVs and contact Polaris to schedule a free repair. Polaris is contacting all known purchasers directly. Consumers may contact Polaris at 800-765-2747 from 7 a.m. to 7 p.m. (CT) Monday through Friday, or online at www.polaris.com and click on “Off-Road Safety Recalls” on the main page for more information. 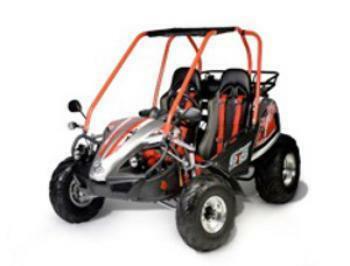 Hammerhead Off-Road of Flower Mound, Texas, is recalling about 9,900 fun-karts. The fuel tank can crack and cause the fuel to leak out, posing a fire hazard. This recall involves model year 2009 through 2015 Hammerhead Off-Road GL 150, GTS 150 and GTS Platinum fun-karts. The recalled fun-karts have two seats and a rear cargo rack and were sold in red, black, white, orange, blue and green. “GTS” is printed on the side cage and the hood of the GTS models and “Hammerhead” is printed on the hood of the GL models. Serial numbers are printed on the cross bar behind the seats. The fun-karts, manufactured in China, were sold at Hammerhead Off-Road dealers nationwide from August 2009, through July 2016, for between $2,100 and $2,900. Consumers should immediately stop using the recalled fun-karts and contact Hammerhead Off-Road to schedule a free replacement of the fuel tank. The firm is contacting all known purchasers directly. Consumers may contact Hammerhead Off-Road toll-free at 844-298-6528 from 8 a.m. to 5 p.m. (CT) Monday through Friday, by email at mail@hammerheadoffroad.com or online at www.hammerheadoffroad.com and click on “Latest News” for more information. 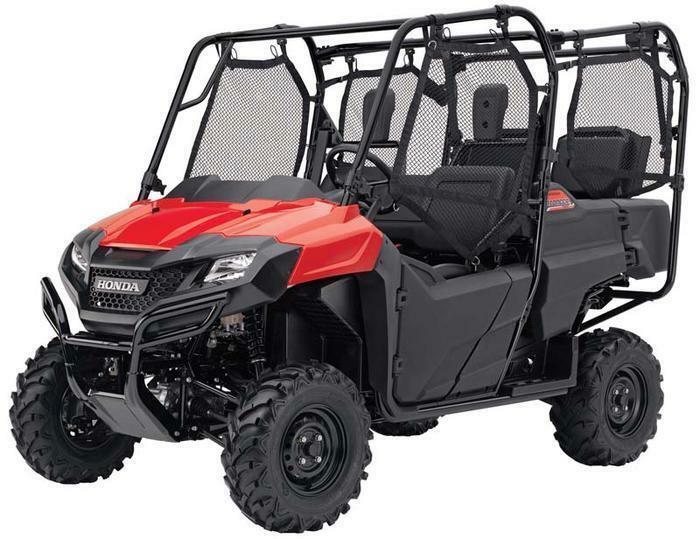 Polaris Industries of Medina, Minn., is recalling about 9,900 Sportsman 570 all-terrain vehicles that may present a fire hazard. The company has received 35 reports of damaged fuel rails and leaks. No injuries have been reported. This recall involves model year 2014 through 2016 Sportsman 570 Touring and X2 model ATVs and model year 2017 Sportsman 570 6x6 model ATVs. The recalled ATVs have one or two seats with four or six tires. “Sportsman” and the model type are printed on the side of the steering column and “Polaris” is printed near the front grill. The ATVs were sold in several colors. The vehicle identification numbers (VIN) are printed on the front or rear frame near the back tire. The ATVs, manufactured in the U.S. and Mexico, were sold at Polaris dealers nationwide from May 2013, through December 2016, for between $7,700 and $11,000. Consumers should immediately stop using the recalled ATVs and contact Polaris to schedule a free repair. Polaris is contacting all known purchasers directly. Consumers may contact Polaris at 800-765-2747 from 7 a.m. to 7 p.m. (CT) Monday through Friday or online at www.polaris.com and click on “Off-Road Safety Recalls” at the bottom of the page for more information. 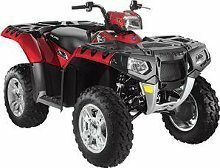 Polaris Industries of Medina, Minn., is recalling about 13,500 Polaris recreational off-highway vehicles (ROVs). The vehicle engine can misfire and the temperatures of the exhaust and nearby components can get too hot and cause the components to melt, and/or a contaminated brake master cylinder may cause unintended brake drag, posing burn and fire hazards. The firm has received 14 reports of vehicles catching fire related to the brake master cylinder and one report of fire and two reports of melting vehicle components related to an engine misfire. No injuries have been reported. This recall involves model year 2016 and 2017 RZR 900, 1000, Turbo and GENERAL 1000 recreational off-road vehicles (ROVs). “Polaris” is printed on the front grill and “RZR” or “GENERAL” is printed on the side of the rear cargo area. The ROVs were sold in various colors. The ROVs, manufactured in Mexico and the U.S., were sold at Polaris dealers nationwide from August 2015, through February 2017, for between $12,800 and $24,000. Consumers should immediately stop using the recalled ROVs and contact Polaris for a free repair. Polaris is contacting all known purchasers directly. Consumers may contact Polaris at 800-765-2747 from 7 a.m. to 7 p.m. (CT) Monday through Friday or online at www.polaris.com and click on “Off-Road Safety Recalls” at the bottom of the page for more information. In addition, consumers should check their vehicle identification number (VIN) on the “Product Safety Recalls” page to see if their vehicle is included in any recalls. The right side panel heat shield can melt, posing burn and fire hazards to riders. In addition, in 2015 Sportsman 1000 ATVs, the exhaust springs can stretch and damage the exhaust seal, which can result in exhaust leaks and pose burn and fire hazards. The company has received at least 793 incidents, including reports of warped, melted or burned side panels, 47 fires and four minor burn injuries. This recall involves all model year 2015 and 2016 Polaris Sportsman 850 and 1000 model all-terrain vehicles (ATVs). “Polaris” is printed on the front grill and “Sportsman 850” or “Sportsman 1000” is printed on the side of the steering column. 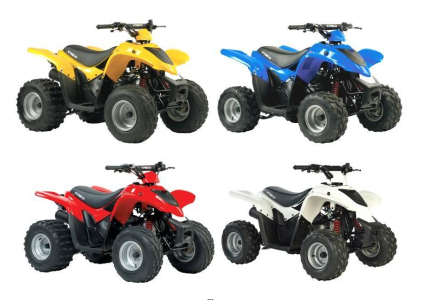 The ATVs were sold in several colors. The model number is located on the fuel tank cover. The ATVs, manufactured in the U.S., were sold at Polaris dealers nationwide from May 2014, through March 2017, for between $8,500 and $15,000. Consumers may contact Polaris at 800-765-2747 from 7 a.m. to 7 p.m. (CT) Monday through Friday or online at www.polaris.com and click on “Off-Road Safety Recalls” for more information. In addition, check your vehicle identification number (VIN) on the “Product Safety Recalls” page to see if your vehicle is included in any recalls. Polaris Industries of Medina, Minn., is recalling about 3,800 Sportsman 450, 570, 850, 1000 and Scrambler 1000 all-terrain vehicles (ATVs). The electronic power steering unit can malfunction, posing a crash hazard. The company has received 15 reports of the electronic power steering unit malfunctioning. No injuries have been reported. This recall involves model year 2017 Polaris Sportsman 450, 570, 850, 1000 and Scrambler 1000 model ATVs. The recalled ATVs have “Polaris” printed on the front grill and “Sportsman 450,” “Sportsman 570,” “Sportsman 850,” “Sportsman 1000” or “Scrambler 1000” printed on the side of the steering column. The ATVs were sold in several colors. The model number is located on the fuel tank cover. The ATVs, manufactured in the U.S., were sold at Polaris dealers nationwide from September 2016, through March 2017, for between $6,900 and $13,300. Consumers may contact Polaris at 800-765-2747 from 7 a.m. to 7 p.m. (CT) Monday through Friday or online at www.polaris.com and click on “Off-Road Safety Recalls” for more information. 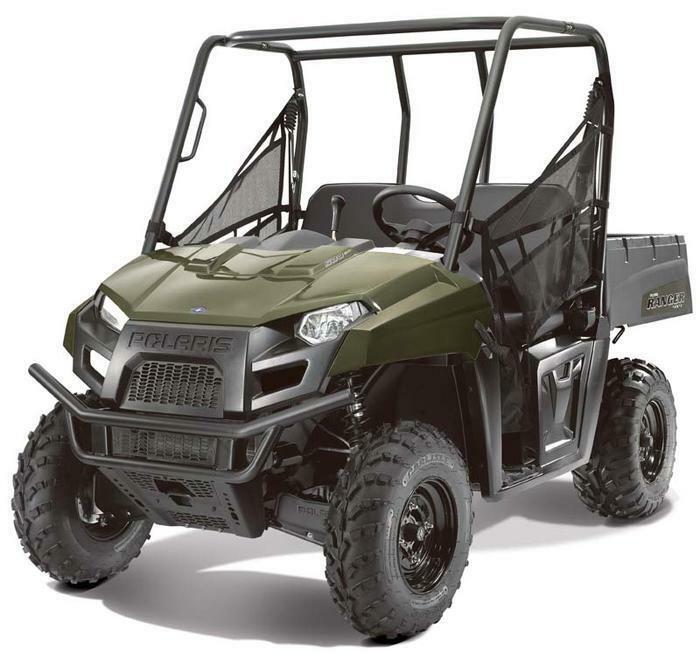 Polaris Industries of Medina, Minn., is recalling about 51,000 Polaris Ranger 900 recreational off-highway vehicles (ROVs). A heat shield can fall off the vehicle, posing fire and burn hazards to riders. The company has received 13 incident reports involving the recalled ROVs, including five reports of fires. No injuries have been reported. This recall involves all model year 2015 Polaris Ranger XP 900, XP 900 EPS, and CREW 900 recreational off-highway vehicles (ROVs). The recalled ROVs were sold in a variety of colors and have either three or six seats and a rear box. “Ranger” is printed on the rear box, and “900” is printed on the hood of the ROVs. All 2015 Ranger 900 models and vehicle identification numbers (VINs) are included in this recall. The VIN is printed on the frame on the driver’s side towards the rear of the vehicle. The ROVs, manufactured in the U.S. and Mexico, were sold at Polaris dealers nationwide from April 2014, through March 2017, for between $13,400 and $21,300. Consumer should immediately stop using the recalled ROVs and contact Polaris to schedule a free repair. Polaris is contacting all known purchasers directly. Consumers may contact Polaris at 800-765-2747 from 7 a.m. to 7 p.m. CT Monday and Friday, or online at www.polaris.com and click on “Off Road Safety Recalls” at the bottom of the page for more information. June 25, 2005 Polaris is expanding an earlier recall, adding the following models: Polaris Model Year 2004.5 Sportsman 500, Model Year 2005 Sportsman 400, Sportsman 500, Sportsman 600, Sportsman 700, Sportsman 6x6, Scrambler 500, Trail Boss and Magnum 330 ATVs. Kawasaki Motors Corp. U.S.A., of Foothill Ranch, Calif., is recalling about 6,600 utility vehicles, ROVs and ATVs. The fuel gauge retainer can collapse and leak fuel, posing a fire hazard. This recall involves 2017 Mule utility vehicles, Teryx and Teryx4 recreational off-highway vehicles and Brute Force 750 all-terrain vehicles. Polaris Industries of Medina, Minn., is recalling about 4.500 Polaris 900 EFI RZR recreational off-highway vehicles. The firewall behind the driver and passenger seats can overheat and melt, posing a burn hazard to consumers. The firm has received one report of an incident involving a consumer who received burn injuries to a finger. This recall involves 2011 model Polaris Ranger RZR XP 900 recreational off-highway vehicles. The machines are either white or red and have a “RZR XP” decal on the right and left rear side panels. The right and left of the hood have “Dual Overhead Cam” decals. There are also “900 EFI” decals on the front right and left of the machine. The vehicles, manufactured in the U.S., were sold at Polaris dealers nationwide from May 2012, through February 2013, for between $16,000 and $16,600. Consumers should immediately stop using the vehicles and contact Polaris to schedule a free repair. Polaris is contacting its known customers directly. Consumers may contact Polaris toll-free at (888) 704-5290, from 8 a.m. to 5 p.m. CT Monday through Friday. Polaris Industries of Medina, Minn., is recalling about 25,600 Sportsman 570 all-terrain vehicles (ATVs). Fuel can leak into the headlight pod, posing a fire hazard. The company has received 30 reports of fuel leaks and four incidents involving a fire. No injuries have been reported. Kawasaki Motors Corp. U.S.A., of Foothill Ranch, Calif., is recalling about 15,000 all-terrain vehicles (ATVs). The fuel tap can leak, posing a fire hazard. The firm has received 18 reports of leaks from the fuel tap. No injuries have been reported. This recall involves 2013-2017 KFX50 and 2012-2017 KFX90 Kawasaki all-terrain vehicles (ATVs). The recalled ATVs have four wheels and seating for one person and were sold in a variety of colors. 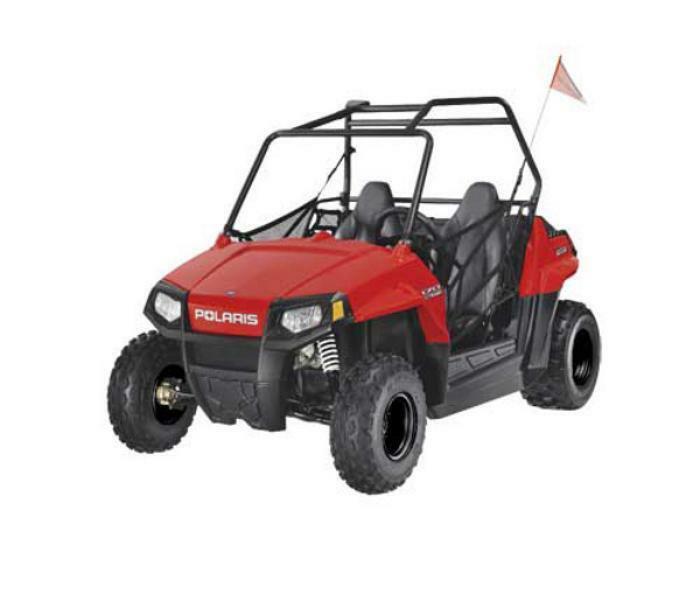 Polaris Industries of Medina, Minn., is recalling about 6,300 Polaris ACE 325 recreational off-highway vehicles (ROVs). The exhaust header pipe can crack and release hot exhaust gases into the engine compartment, posing fire and burn hazards. The company has received six reports of cracked exhaust pipes, including two reports of seat damage due to melting. No fires or injuries have been reported. Polaris Industries of Medina, Minn., is recalling 560 Polaris RZR XP 4 Turbo ROVs. The return fuel line can be improperly secured which can cause fuel to leak, posing a fire hazard. The company has received one report of a fire resulting from an improperly installed return fuel line. No injuries have been reported. This recall involves Polaris model year 2018 RZR XP 4 Turbo recreational off-highway vehicle (ROVs) with seating for four. BRP U.S. of Sturtevant, Wis., is recalling about 8,300 model year 2017 Can-Am Outlander and Outlander Max All-Terrain Vehicles (ATVs)sold in the U.S. and Canada. The dynamic power steering shaft can break and result in a loss of steering control, posing a crash hazard to consumers. The firm has received 13 reports of broken steering shafts worldwide -- two of them in the U.S. No injuries have been reported. Yamaha Motor Corporation USA of Cypress, Calif., is recalling about 100 Big Bear ATVs. The front shock absorber can break apart and cause the driver to lose control of the vehicle, posing a crash hazard. The company is aware of 14 incidents of the front shocks braking apart. No injuries have been reported. The recalled vehicles are four-wheeled 2012 Yamaha Big Bear 400 ATVs. The model numbers YFM40FBBGR, YFM40FBBL and YFM40FGBGR can be found on the left and right side panels of the unit. The ATVs are blue, green or camouflage and have black gear racks on the front and back. The words Yamaha Big Bear can be found on both sides of the ATV and the fuel tank. The VIN number is stamped on the frame just behind the front left wheel. 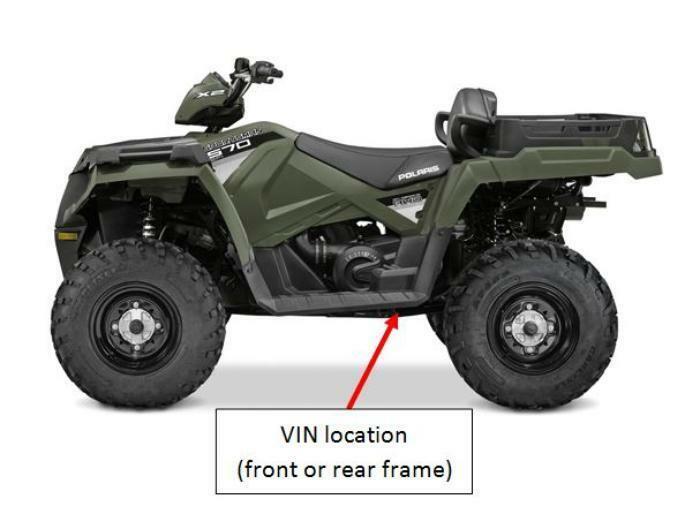 The letter “C” in the 10th position of the VIN indicates the ATV was made in 2012. The ATVs. Made in the U.S., were sold at Yamaha ATV dealers nationwide from August 2012, to May 2013, for between $6,500 and $7,000. Consumers should immediately stop using the recalled ATVs and contact their local Yamaha dealer to schedule a free repair. Yamaha is contacting its registered owners directly. Consumers may contact Yamaha at (800) 962-7926 anytime. BRP U.S., of Sturtevant, Wis., is recalling about 13,300 model year 2018 Can-Am Outlander and Renegade all-terrain vehicles (ATVs). Fuel can spray from the fuel tank when opening the gas cap, posing a fuel leak and fire hazard. The firm has received six reports of fuel spraying out of the fuel tank. No injuries or fires have been reported. This recall involves model year 2018 Can-Am Outlander and Renegade ATVs sold in a variety of colors. Polaris Industries of Medina, Minn., is recalling about 2,100 Gravely Atlas JSV 3000 and 6000 utility vehicles. The utility vehicle’s exhaust header pipe can crack, posing fire and burn hazards. The firm has received seven reports of cracked header exhaust pipes. No injuries have been reported. This recall involves all model year 2015 through 2018 Gravely Atlas JSV 3000 and 6000 gas-engine-powered utility vehicles. American Honda Motor Company of Torrance, Calif., is recalling about 21,000 Honda FourTrax TRX500 Foreman ATVs. The steering shaft can break unexpectedly and cause the rider to lose steering control and crash, posing a risk of injury or death to riders. The company has received 18 reports of the ATV’s steering shaft breaking, including two in which the riders were involved in a crash. No injuries have been reported. The ATVs, manufactured in the U.S., were sold at Honda ATV dealers nationwide from May 2011, through September 2013, for between $6,900 and $7,900. Consumers should immediately stop using the recalled ATVs and contact a Honda ATV dealer to schedule a free repair. American Honda is contacting its customers directly. Consumers may contact American Honda toll-free at (866) 784-1870 from 8:30 a.m. to 5 p.m. PT Monday through Friday. Arctic Cat is recalling about 2,300 Prowler 500 HDX off-highway utility vehicles. Fuel can leak from the fuel fitting at the throttle body of the vehicle, posing a fire hazard. This recall includes Model Year 2014 Arctic Cat Prowler 500 HDX Recreational Off-Highway Vehicle (ROV). The two-seat vehicles come in four colors: green, red, vibrant red metallic or emerald green metallic. The vehicles have “Arctic Cat” printed on each side of the hood and on the cargo box tail gate, “500” printed on each side of the front fenders and “HDX” printed on each side of the rear cargo box. The vehicles, manufactured in the U.S., were sold at Arctic Cat dealers nationwide from August 2013, to January 2014, for between about $11,000 and $12,400. Consumers should stop using the recalled Prowlers immediately and contact an Arctic Cat dealer to schedule a free repair. Arctic Cat is contacting all known owners of the Prowlers directly. Consumers may contact Arctic Cat at (800) 279-6851 from 8 a.m. to 5 p.m. CT Monday through Friday. Polaris Industries of Medina, Minn., is recalling about 5,900 Model year 2017-2018 Polaris ACE 150 and model year 2018 Polaris Ranger 150 recreational off-highway vehicles (ROVs). The company has received 10 reports of joints separating. No injuries have been reported. 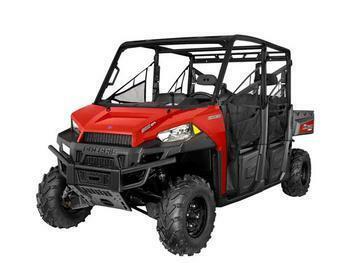 Polaris Industries of Medina, Minn., is recalling about 16,550 Ranger recreational off-highway vehicles. The vehicles’ throttle cable can melt on the exhaust pipe and fail to operate properly. This could cause the rider to lose control, posing a crash hazard. The company has received one report of a vehicle’s throttle failing to return to idle after accelerating, causing the operator to lose control of the vehicle and be thrown from it, resulting in a scraped shin. This recall involves 2013 Polaris Ranger 500 EFI and Ranger Crew 500 EFI recreational off-highway vehicles. Model names are on the right and left side of the hood. “Polaris” is stamped on the front of the vehicles above the front grill and “Polaris Ranger 4x4” is printed on the side of the rear bed box. The Ranger has a bench seat and a rear cargo box. Ranger model colors are black, camouflage, green, and red. Model numbers for the Ranger are R13RH50AG, R13RH50AH, R13RH50AM and R13RH50AR. The Ranger Crew has a front and a rear bench seat and a rear cargo box. Model numbers for the Ranger Crew are R13WH50AG, R13WH50AH, R13WH50AR and R13WH50AX. Ranger Crew model colors are camouflage, green, red and tan. Recalled vehicles have a VIN between 4XA******DE210149 and 4XA******DE791730 stamped on the front lower frame rail of the vehicle on the driver’s side. Not all VINs in the range are included in this recall. The vehicles, manufactured in Mexico, were sold at Polaris dealers nationwide from June 2012, through February 2014, from between $9,300 and $11,000. Consumers should immediately stop using the recalled Polaris Ranger vehicles and contact a Polaris dealer to schedule a free inspection and repair. Consumers will also be given inspection instructions if they wish to perform their own inspection. Polaris is contacting its customers directly. Consumers may contact Polaris toll-free at (888) 704-5290 from 8 a.m. to 5 p.m. CT Monday through Friday. 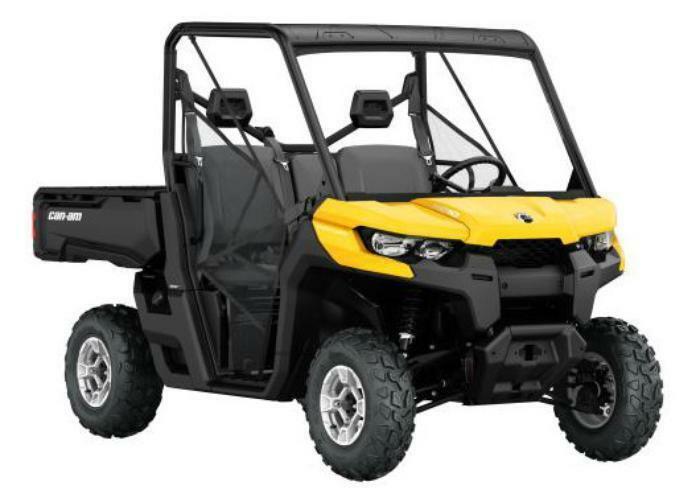 Cub Cadet is recalling about 1,300 Challenger off-road utility vehicles. The parking brake cable can fail, posing a crash hazard. The firm has received 22 reports of incidents of the brake cable failing. There have been no reports of injuries or property damage. This recall involves model year 2015 Cub Cadet Challenger CX500 and Challenger CX700 four-wheel drive off-road utility vehicles. The recalled vehicles have two bucket seats, roll bars, a canopy, a two-piece windshield, a 35.5-inch by 44-inch cargo bed and a winch. The model number is located under the driver’s seat. The vehicles were sold at Cub Cadet dealers nationwide from April 2015, through October 2015, for between $8,500 and $9,500. Consumers should immediately stop using the recalled vehicles and contact a Cub Cadet dealer to schedule an appointment for a free repair. 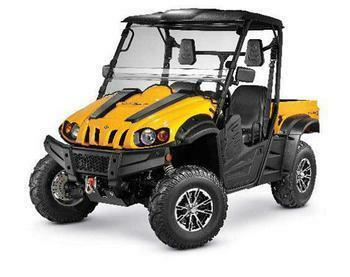 Cub Cadet is contacting owners of the recalled utility vehicles directly. Consumers may contact Cub Cadet toll-free at 888-848-6038 between 8 a.m. and 5 p.m. ET Monday through Friday or online at www.cubcadet.com and click on Product Recalls for more information. 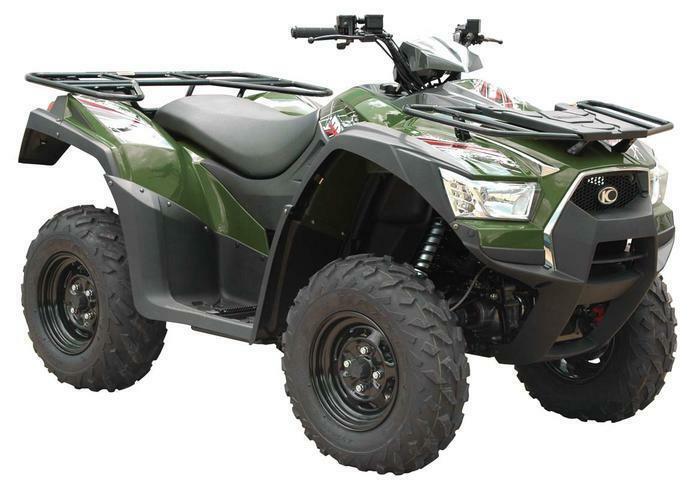 Kawasaki Motors Corp., U.S.A. of Foothill Ranch, Calif., is recalling about 28,000 Mule Pro side-by-side recreational off-highway vehicles. The front floor cover can be punctured by a foreign object, posing an injury hazard to riders. The company has received two reports of debris coming up from the floor cover, including one report of debris striking an operator’s leg. The recall involves 2015, 2016 and 2017 model year side-by-side recreational off-highway vehicles. The recalled models are 4-wheel side-by-side seating for three to six people and automotive style controls. The vehicles come in various colors. The model name is printed on the right and left front fender. The vehicle identification number (VIN) is located on the steel frame between the right front lower A-arm mounts. The off-highway vehicles, manufactured in the U.S., were sold at Kawasaki dealers nationwide from July 2014 through June 2016 for between $12,000 and $16,900. Consumers should immediately stop using the recalled vehicles and contact their local authorized Kawasaki dealer to schedule a free repair. Consumers may contact Kawasaki toll-free at 866-802-9381 between 8 a.m. and 5 p.m. (PT) Monday through Friday or online at www.kawasaki.com and click on “Recall” at the bottom of the page for more information. 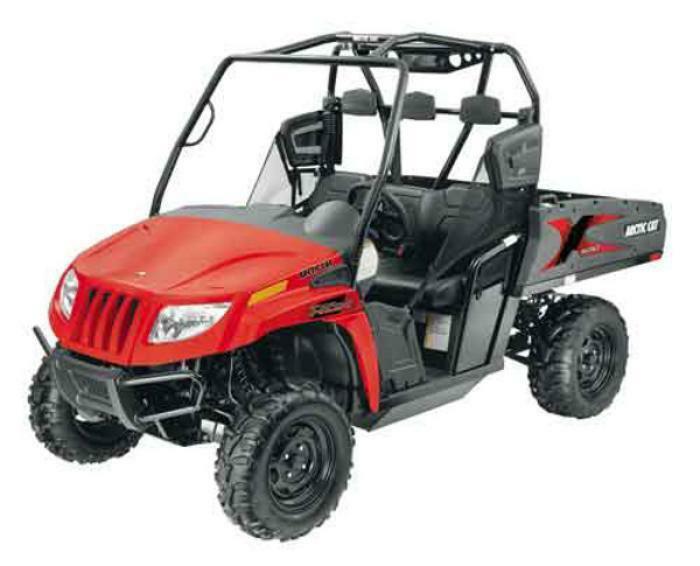 American Landmaster of Columbia City, Ind., is recalling about 1,500 off-road utility vehicles. Gas can leak from the gas tank, posing fire and burn hazards. This recall involves model year 2018 gasoline-powered Landstar, Crossroad and Trailwagon models of American Landmaster four-wheel off-road utility vehicles. The recalled vehicles were sold in a variety of colors. Polaris Industries of Medina, Minn., is recalling about 1,000 Ranger recreational off-highway vehicles (ROVs). The front lower control arms can separate, posing a crash hazard. The company has received six reports of lower control arms separating. No injuries have been reported. This recall involves model year 2018 Polaris Ranger 500, Ranger 570, Ranger EV and Ranger EV LI-ION recreational off-highway vehicles. 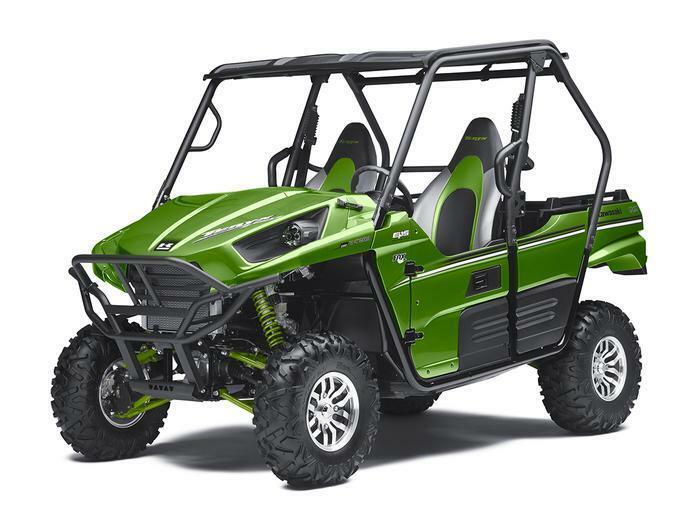 Kawasaki Motors USA of Irvine, Calif., is recalling about 11,000 Teryx4 recreational off-highway vehicles. The vehicle's floor boards can allow a stick or other debris to break through and protrude into the foot rest area, posing an injury hazard to the operator and front passenger. The company has received four reports of debris breaking through floor boards, including two injuries to riders’ toes and thighs. The recalled vehicles are 2012 and 2013 Kawasaki Teryx4 750 4x4 recreational off-highway vehicles. The four-wheel drive vehicles have automobile-style controls, side-by-side seating for four people, four doors, a roll bar with hand holds and a cargo bed. The 2012 and 2013 models come in three different styles: non-EPS, EPS and EPS LE. The LE style has a roof and aluminum wheels. The 2012 models were sold in the colors blue, camouflage, green, red and yellow. The 2013 models were sold in the colors black, camouflage, green, red, white and yellow. The model name "Teryx4" is on the driver's side of the hood. For all colors of the EPS model except camouflage, "EPS" appears on the driver and passenger side cowling near the top front corner of the doors. On the EPS LE, "EPS" appears on the driver and passenger side cowling near top front corner of the doors and "LE" appears on the hood on the driver's side. The vehicles, manufactured in the U.S., were sold at Kawasaki dealers nationwide from October 2011, through July 2014, for about $13,400. Consumers should immediately stop using the recalled vehicles and contact an authorized Kawasaki dealer to schedule a free repair, consisting of the installation of floor board guards. Consumers may contact Kawasaki toll-free at (866) 802-9381 between 8 a.m. and 5 p.m. PT Monday through Friday. 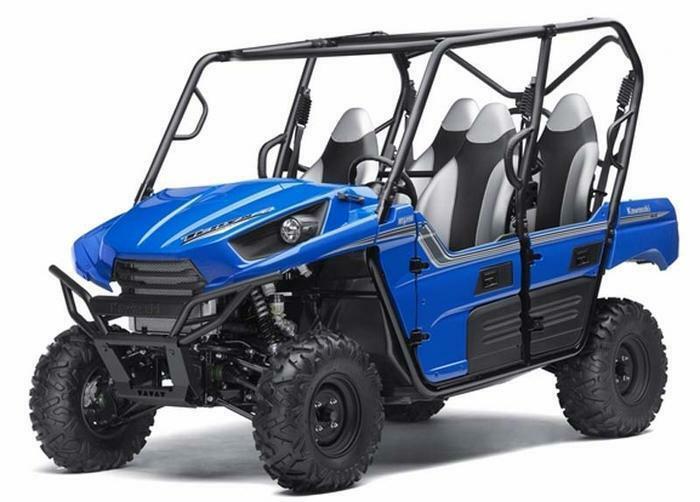 Polaris Industries of Medina, Minn., is recalling about 42,500 Polaris Ranger 900 recreational off-highway vehicles (ROVs). The heat shield can fall off the vehicle, posing fire and burn hazards to riders. The company has received 36 reports of the recalled ROVs overheating and catching on fire, including reports of three minor burns and one sprained wrist. This recall involves all model year 2014 Polaris Ranger XP 900, XP 900 EPS, and CREW 900 recreational off-highway vehicles (ROVs). The recalled ROVs were sold in a variety of colors and have either three or six seats and a rear box. “Ranger” is printed on the rear box, and “900” is printed on the hood of the ROVs. All 2014 Ranger 900 models and Vehicle Identification Numbers (VINs) are included in this recall. To check for recalled vehicles by VIN, visit www.polaris.com. The ROVs, manufactured in the U.S. and Mexico, were sold at Polaris dealers nationwide from April 2013, through June 2014, for between $13,200 and $16,200. Consumers may contact Polaris at 800-765-2747 from 7 a.m. to 7 p.m. (CT) Monday through Friday, or online at www.polaris.com and click on “Off Road Safety Recalls” at the bottom of the page for more information. 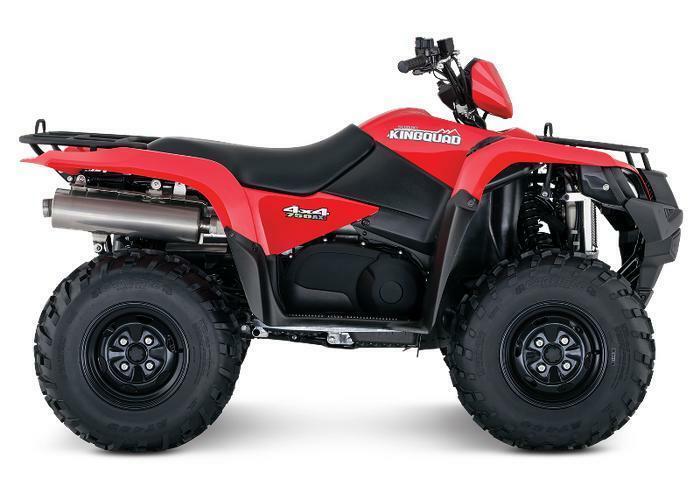 KYMCO of Spartanburg, S.C., is recalling about 450 All-terrain vehicles (ATVs). In hot environments or high elevations, the fuel cap can fail to vent properly, causing the fuel to heat up and pressure to build up in the tank. The pressure can cause the fuel tank to rupture or the fuel to boil out of the tank onto the operator or hot engine, resulting in burns to the operator or a fire. The recall involves model year 2013, 2014 and 2015 KYMCO MXU 700 ATVs including standard, LE and Camo versions. The vehicles came in black, camouflage, gold, green, red and silver. The words KYMCO and MXU 700, MXU 700 LE or MXU 700 Camo are on the front of the hood and on each rear fender. The vehicle identification number (VIN) in the format RFBLU45U*xBxxxxxx is located on the frame behind the right front wheel. The 10th digit of the VIN indicates the model year: D = 2013, E = 2014 and F = 2015. The ATVs, manufactured in Taiwan, were sold at KYMCO dealers nationwide from April 2013, to August 2014, for about $9,000. Consumers should immediately stop using the recalled ATVs and contact an authorized KYMCO dealer for a free repair. The original gas caps must be collected by the dealer to confirm the repair. Consumers may contact KYMCO USA toll-free at (888) 235-3417 between 9 a.m. and 5 p.m. PT Monday through Friday or by email at info@kymcousa.com. Suzuki Manufacturing of America Corporation of Rome, Ga., is recalling about 3,400 KingQuad 750 all-terrain vehicles (ATVs). The company has received six reports of battery discharge or failure to restart. No injuries have been reported. This recall involves model year 2016 and 2017 LT-A750X and LT-A750XP KingQuad ATVs. “Suzuki KingQuad” and “4x4 750AXi” are on decals on the sides. The model number is printed on a hang tag on the ATV and on the owner’s manual. The XP model has power steering. They were sold in green, red, camouflage and black colors. The ATVs, manufactured in the U.S., were sold at Suzuki ATV dealers nationwide from September 2015, through November 2016, for between $8,600 and $9,600. Consumers should immediately stop using the recalled ATVs and contact a local Suzuki ATV dealer to schedule an appointment for a free repair. Consumers with recalled ATVs are being sent a notice directly from Suzuki. Consumers may contact Suzuki at 800-444-5077 from 8:30 a.m. to 4:45 p.m. PT Monday through Friday or online at www.suzukicycles.com and click on Safety Recalls for more information. American Honda Motor Company of Torrance, Calif., is recalling about 15,400 recreational off-highway vehicles. Vegetation and debris can accumulate on the middle skid plate and make contact with the vehicle’s exhaust system. Dried debris can ignite, resulting in smoke or fire. The company has received reports of 10 incidents involving fires resulting from vegetation and debris accumulating on the middle skid plate and making contact with the vehicle’s exhaust system. No injuries were reported. This recall involves all models of the 2014 Honda Pioneer 700 recreational off-highway vehicle (ROV). ROVs are motorized off-road vehicles with a steering wheel, gas and brake pedals, bucket or bench seats, seat belts and an occupant protection structure. The recalled vehicles came in two-seat and four-seat models and were black with camouflage, olive or red hood and trim pieces. “HONDA” is on the front grill and rear tail gate. “Pioneer 700” appears on a tab on the sides of the vehicle just behind the driver’s and front passenger’s seats. The model and serial numbers are on a certification label affixed to the top rear of the driver's side front wheel well. The vehicles, manufactured in China, were sold at authorized Honda powersports dealers nationwide from August 2013 through September 2014. Owners should immediately stop using the recalled vehicle and take it to an authorized Honda dealer to have the original middle skid plate removed and an updated middle skid plate installed free of charge. Consumers may contact American Honda toll-free at (888) 888-3139 from 8:30 a.m. to 7 p.m. ET Monday through Friday. BRP U.S. of Sturtevant, Wis., is recalling about 780 side-by-side off-road vehicles. The vehicles can unexpectedly roll away when in the “park” or “P” position, posing an injury hazard to users. The firm has received six reports of the vehicles moving when in the “park” or “P” position. No injuries have been reported. This recall involves model year 2016 Can-Am Defender, Defender DPS, and Defender XT model side-by-side off-road vehicles. The vehicles were sold in various colors and have four tires, two seats and a cargo box on the back. “Can-am” is printed on the side of the cargo box and the model name is printed on the side of the front of the vehicle beside the headlight. The model name and vehicle identification number (VIN) are printed on a label under the glove box. The vehicles, manufactured in Mexico, were sold at Can-Am dealers nationwide from October 2015, through December 2016, for between $10,000 and $15,700. Consumers should immediately stop using the recalled vehicles and contact a BRP dealer to schedule a free repair. BRP is contacting all known purchasers directly. Consumers may contact BRP toll-free at 888-272-9222 from 8 a.m. to 8 p.m. (ET) any day or online at www.can-am.brp.com and click on the Off-Road website and then the “Owners” tab at the top of the page and then “Safety” and then “View Notices” for more information. Arctic Cat of Thief River Falls, Minn., is recalling about 40,000 single-rider and 2 UP style all-terrain vehicles (ATVs). Components in the front gear case can fail, posing a risk of loss of control and crash hazard. The company has received 44 reports of components in the front gear case failing, including 10 reports of the vehicle stopping abruptly or the operator losing of control of the ATV. There have been 4 reports of injury, including 1 involving a consumer sustaining broken ribs and injuries to a knee and back. This recall involves model year 2008 and 2009 Arctic Cat single-rider and 2 UP style ATVs. Single-rider ATVs have one seat and one set of footrests for the operator. 2 UP ATVs have an elongated seat designed to hold one passenger behind the operator, a set of hand-holds mounted to the rear frame for the passenger and two sets of footrests. The recalled ATVs came in a variety of colors and have the name Arctic Cat on each side of the fuel tank and on the front above the grill opening. All model year 2008 Arctic Cat ATVs with 400 cubic centimeter (cc) and larger engines are being recalled. Model year 2009 Arctic Cat ATVs with 400 cubic centimeter (cc) and larger engines and with production numbers within the following ranges are being recalled: 200001 through 203861, 808001 through 808137, and X25082 through X30243. The engine size is printed on the back of the instrument cluster between the handle bars. The vehicle identification number (VIN) in the format 4UF09******XXXXXX is on the frame tube near the driver’s side rear wheel and contains the model year and production number of the vehicle. The model year is the fourth and fifth characters of the VIN in the YY format. The production number is the last six characters of the VIN. The ATVs. Manufactured in the U.S., were sold at Arctic Cat dealers nationwide from May 2007, to October 2014, for between $5,500 and $12,000. Consumers should immediately stop using the recalled ATVs and contact an Arctic Cat dealer to schedule a free repair. Gibbs Sports Amphibians of Auburn Hills, Mich., is recalling about 320 Quadski and Quadski XL amphibious vehicles. The handlebar can fail while the vehicle is in operation, causing the operator to lose control of the steering and braking system of the vehicle, posing a risk of injury. No consumer incidents have been reported. Three reports of breakage during testing have been reported; one involved injury to the neck of the test operator. 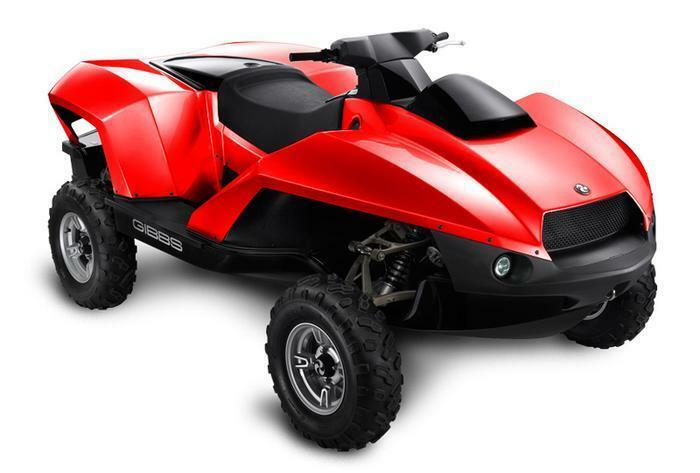 This recall includes Gibbs’ Quadski which is a one-seater and Quadski XL which is a two-seater. The products are high speed amphibious vehicles that are an ATV on land, and also operate on water. 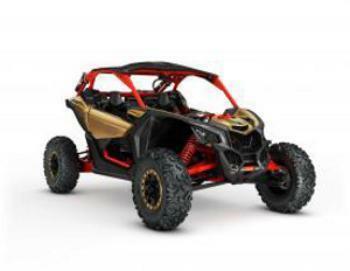 The recalled vehicles have HIN numbers ranging from US-GSA601J213 though US-GSAJ1048C414 on Quadski and US-GSAJ5001J213 though US-GSAM5203H415 on Quadski XL. HIN numbers are printed on a plate located on the right rear corner of the vehicle. Brand and model names are printed on the back panel and on the side of the vehicle. The vehicles, manufactured in the U.S., were sold at Gibbs Sports Amphibians dealers nationwide from January 2012 through October 2014 for about $42,000. Consumers should immediately stop using the recalled vehicles and contact an authorized dealer for a repair at no cost. Consumers may contact Gibbs’ Sports Amphibians toll-free at (877) 230-0888 between 8 a.m. and 5 p.m. ET Monday through Friday. 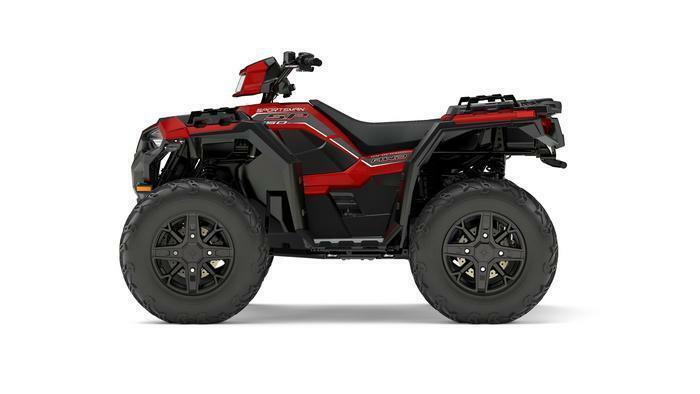 Bombardier Recreational Products (BRP) of Canada is recalling about 12,500 all-terrain vehicles (ATVs). 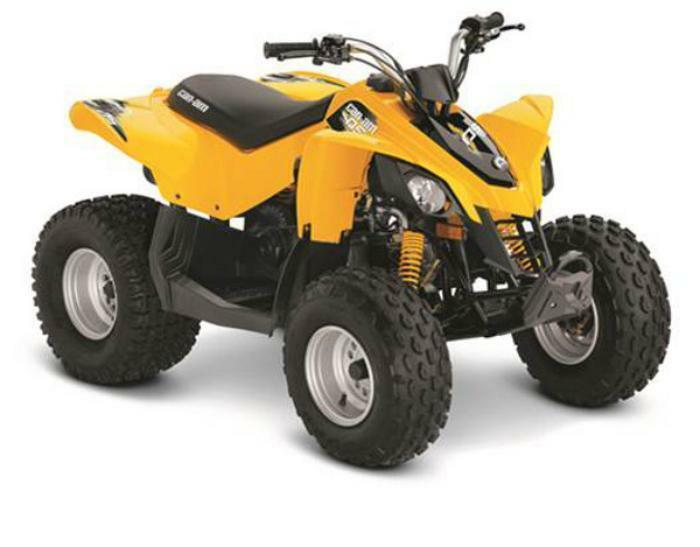 The youth ATVs fail to meet performance requirements of the federal standard for maximum unrestricted speed and parking brakes, posing a crash hazard. The ATVs, manufactured in Vietnam, were sold at Can-Am dealers nationwide from July 2007, through January 2015, for between $1,800 and $2,800. Consumers may contact BRP toll-free at (888) 272-9222 from 9 a.m. to 9 p.m. ET Monday through Friday. Polaris Industries of Medina, Minn., is recalling about 4,300 Polaris Youth RZR recreational off-highway vehicles. The vehicle’s fuel pump can leak, posing a fire hazard. 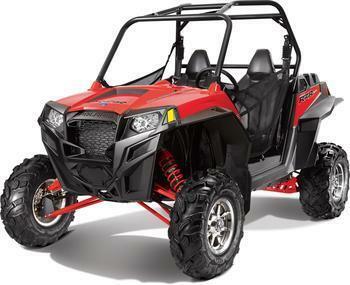 This recall involves Model Year 2015 Polaris Youth RZR 170 EFI recreational off-highway vehicles with model number R15YAV17AA/AF and VINs between RF3YAV170FT000076 and RF3YAV17XFT005141. The VIN is on the left-hand front frame tube. They were sold in both blue and red. The blue models have a “170 EFI” decal on the right and left side of the hood and an “RZR” decal on the right and left front fenders. The red models have a “170 EFI” decal on the right and left front fenders and a “RZR” decal on the right and left rear fenders. The vehicles, manufactured in Taiwan, were sold at Polaris dealers nationwide from October 2014, through June 2015, for about $4,600. Consumers should immediately stop using the recalled vehicles and contact their local Polaris dealer to schedule a free repair. Polaris is contacting its customers directly and sending a recall letter to each registered owner of an affected product. Consumers may contact Polaris toll-free at (888) 704-5290, from 8 a.m. to 5 p.m. (CT) Monday through Friday. Arctic Cat is recalling about 2,700 Arctic Cat Prowler 500 HDX off-highway utility vehicles. Fuel can leak from the fuel fitting at the throttle body, posing a fire hazard. This recall involves model year 2014 Arctic Cat Prowler 500 HDX and model year 2015 Prowler 500 HDX models. The recalled vehicles include vehicle identification numbers (VIN) from 303194 through 305166. The VIN number is located on the rear frame tube under the rear of the box. The vehicles are green, red, vibrant red metallic, or emerald green metallic. “Arctic Cat” is printed on each side of the hood. Also 500 is printed on each side on the front fenders, HDX on each side of the rear cargo box, and “Arctic Cat” on the cargo box tail gate. The vehicles, manufactured in the U.S., were sold at Arctic Cat dealers nationwide from August 2013, to July 2015, for between about $11,000 and $12,400. Consumers should immediately stop using the recalled Prowlers and contact an Arctic Cat dealer to schedule a free repair. Arctic Cat is contacting its customers directly. Consumers may contact Arctic Cat at (800) 279-6851 from 8 a.m. to 5 p.m. (CT) Monday through Friday. 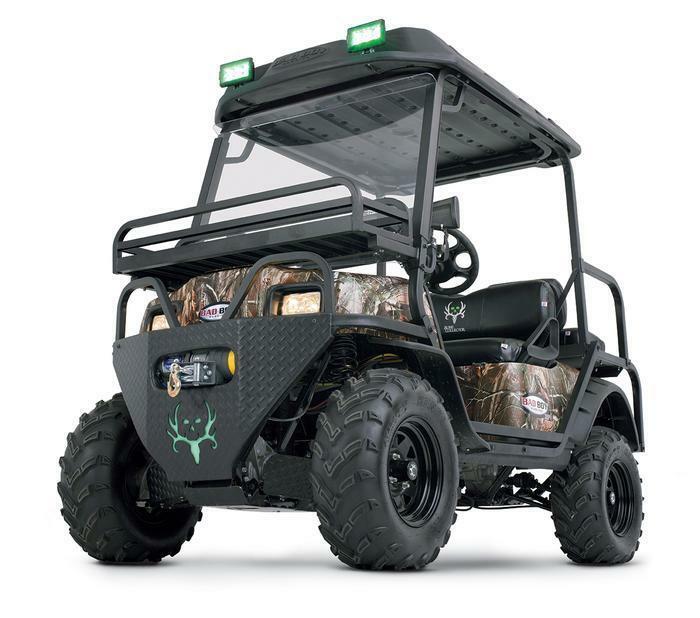 American SportWorks (ASW) of Roseland, La., is recalling about 3,500 off road utility vehicles. The throttle can fail to return to idle causing the rider to lose control, posing a risk of injury. BullDog 300, ChuckWagon 300 and LandMaster 300 -- all powered by Kohler 277cc engines with the last 6 Characters of the product identification number between A11746 and A13294, and LandMaster 400, TrailWagon 400 and ChuckWagon 400 all powered by Honda 390cc engines with the last 6 characters of the product identification number between A24835 and A26806. The product identification numbers can be found on a sticker on the firewall above the accelerator and brake pedal. The vehicles, manufactured in the U.S., were sold at Atwood Distributing, Rural King, The Home Depot, Tractor Supply Company and other dealers from September 2014, through June 2015, for between $4,300 and $5,300. The fuel filter can break and leak, posing a fire hazard. The company has received eight reports of the fuel filter breaking and leaking at dealerships. No injuries have been reported. This recall is for the model years 2015 and 2016 Youth Model Can-Am TMDS 90TM and DS 90TMX ATVs. The recalled vehicles have an engine size of 90 cubic centimeters. The vehicles came in black and yellow. “Can-Am DS” and the engine size are painted in white on both sides of the vehicle’s fairing. “Can-Am” appears in white letters on both sides of the seat. The ATVs, manufactured in Vietnam, were sold at Can-Am dealers nationwide from May 2015, through September 2015, for between $2,800 and $3,800. Consumers should immediately stop using the recalled vehicles and contact a BRP dealer to schedule a free repair. BRP is notifying registered consumers directly about this recall. Consumers may contact BRP toll-free at 888-272-9222 from 9 a.m. to 9 p.m. (ET) Monday through Friday or online at http://can-am.brp.com/off-road/owners/safety/safety-recalls/youth-all-terrain-vehicles.html. Polaris Industries of Medina, Minn., is recalling about 2,230 RZR XP Turbo recreational off-highway vehicles (ROVs). The vehicles' oil drain line can leak, posing a fire hazard. The company has received two reports of RZR XP Turbos with oil leaks and two reports of the vehicles catching fire. No injuries have been reported. This recall involves model year 2016 Polaris RZR XP Turbo recreational off-highway vehicles with Vehicle Identification Numbers (VINs) 3NSVDE925GF454105 through 3NSVDE923GF459495. RZR XP Turbos were sold in graphite, orange and blue color schemes. A “Turbo” decal is located on the right and left front fenders and a “RZR” decal on the right and left rear fenders. The VIN is on the driver’s side rear frame rail, above the PVT cover. VINs are not sequential and not all VINs in the range are included in this recall. A complete list of recalled vehicles including VINs is available here. The ROVs, manufactured in Mexico, were sold at Polaris dealers nationwide from September 2015, through November 2015, for about $25,000. Consumers should immediately stop using the recalled vehicles and contact their local Polaris dealer to schedule a free repair. Polaris is contacting its customers directly and sending a recall letter to each registered owner. Consumers may contact Polaris toll-free at 888-704-5290 from 8 a.m. to 5 p.m. (CT) Monday through Friday or online at www.polaris.com and click on Product Safety Recalls for more information. Kawasaki Motors U.S.A., of Irvine, Calif., is recalling about 19,500 Teryx recreational off-highway vehicles (ROVs). Sticks or other debris can break through the vehicle’s floor board and protrude into the foot rest area, posing an injury hazard to the operator and front passenger. About 11,000 ROVs were recalled for the same hazard in July 2014, and 7,000 for a different hazard in August 2012. The company has received 628 incident reports of debris cracking or breaking through the floor boards of the vehicles, including eight reports of injuries to riders’ lower extremities. The recall involves 2012 and 2013 model year Teryx4 750 4x4 (four seats) and 2014, 2015, 2016 model year Teryx 800 4x4 (two seats) and 2014, 2015 and 2016 model year Teryx4 800 4x4 (four seats) recreational off-highway vehicles. These four-wheel off-highway vehicles have automotive style controls and seating for two or four. The Teryx 800 has side-by-side seating for two people, two doors, a roll bar with hand holds and a cargo bed. The Teryx4 750 and Teryx 4 800 have side-by-side seating for four people, four doors, a roll bar with hand holds and a cargo bed. The models come in three different styles: Non-EPS, EPS and EPS LE. The LE style has a roof and aluminum wheels. The model name is printed on the driver’s side of the hood or on the left and right front fender. The 2012 Teryx4 750 model comes in blue, camo, green, yellow, and red. The 2013 Teryx4 750 model comes in black, camo, green, red, white, and yellow. The 2014 Teryx4 800 model comes in green, camo, yellow, and orange. 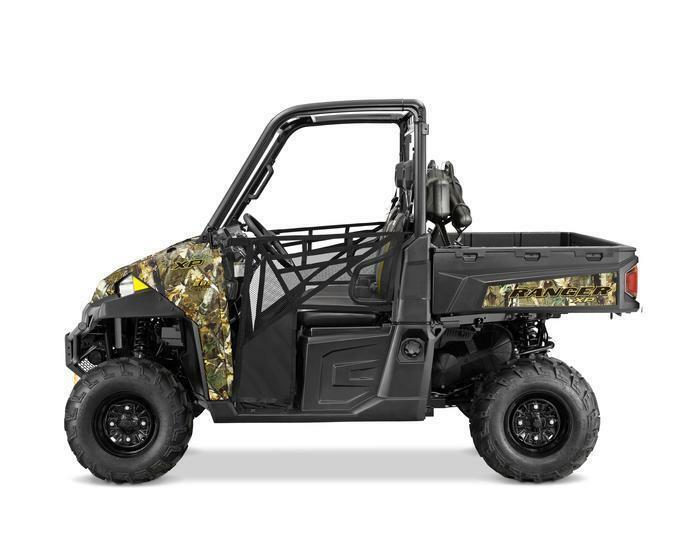 The 2015 Teryx4 800 model comes in green, orange, white, camo, and black. The 2016 Teryx4 800 model comes in camo, white, green, red, and gray. The 2014 Teryx 800 model comes in camo, green, and blue. The 2015 Teryx 800 comes in green, white, black and camo. The 2016 Teryx 800 comes in green, gray, camo, and white. The ROVs, manufactured in the U.S., were sold at Kawasaki dealers nationwide from November 2011, through November 2015, for between $13,400 and $16,300. Consumers should immediately stop using the recalled vehicles and contact an authorized Kawasaki dealer to schedule a free repair, consisting of the installation of floor board guards and replacing damaged floorboards. Consumers with previously repaired vehicles should contact Kawasaki dealers to receive this additional repair. BRP U.S. of Sturtevant, Wis., is recalling about 2,380 side-by-side off-road vehicles. The steering rack and pinion assembly can have an improper amount of grease and result in a loss of steering control, posing a crash hazard. The firm has received 33 incident reports, including reports of intermittent or complete steering lock. No injuries are reported. This recall involves model year 2017 Can-Am Maverick X3 side-by-side vehicles. The vehicles came in various colors. The model name and Vehicle Identification Number (VIN) is printed on a label under the glove box. To determine if your vehicle is included in the recall, have your VIN (Vehicle identification Number) ready and contact your authorized Can-Am side-by-side dealer or BRP. The vehicles, manufactured in Mexico, were sold at Can-Am dealers nationwide from August 2016, through November 2016, for between $23,000 and $27,000. Consumers should immediately stop using the recalled vehicles and contact a BRP Can-Am side-by-side dealer to schedule an appointment for a free repair. BRP is notifying registered consumers directly about this recall. Consumers may contact BRP toll-free at 888-272-9222 from 8 a.m. to 8 p.m. (ET) Monday through Sunday or online at www.can-am.brp.com and click on “Owner Center” and then “Recall Information” for more information. 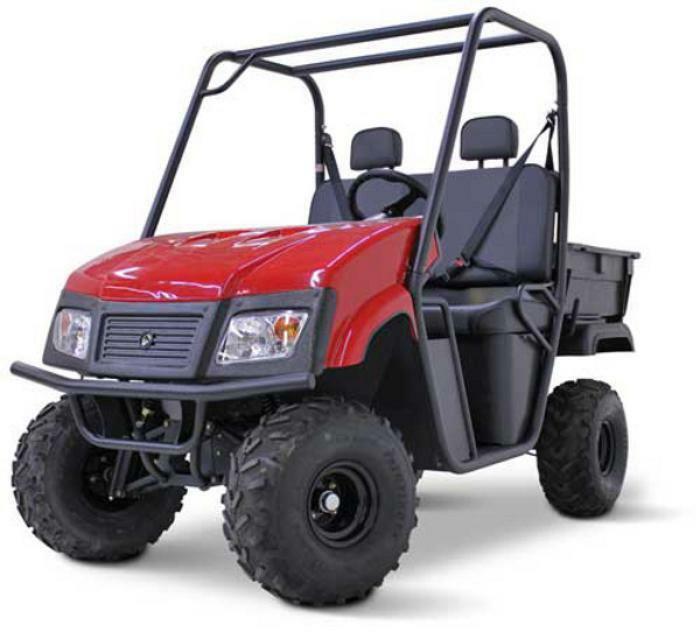 Textron Specialized Vehicles of Augusta, Ga., is recalling about 1,100 Bad Boy off-road utility vehicles. As a result of the vehicles rolling over, a 14-year-old passenger died in Toombs County, Ga., in 2014 and -- in a separate rollover incident -- a man suffered a serious leg injury. The vehicles lack seat belts, posing a risk of serious injury or death to the operator and passengers in the event of a vehicle accident. 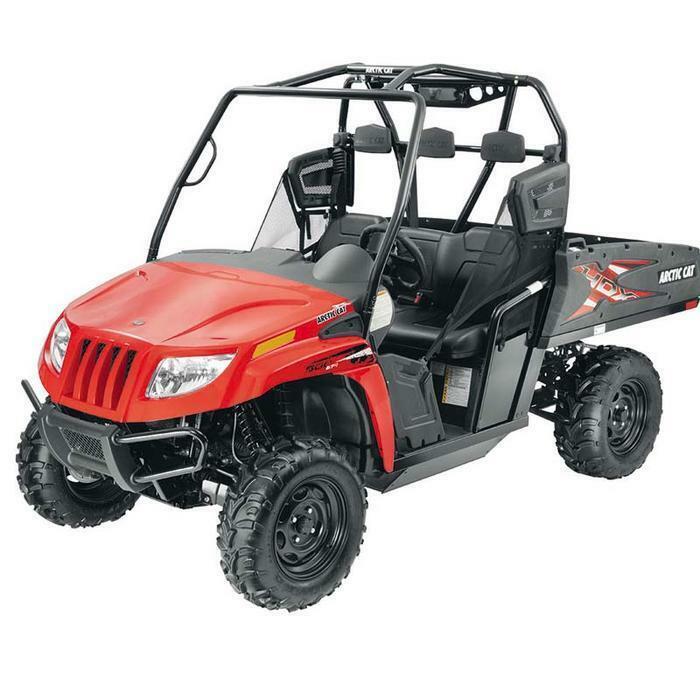 This recall involves Bad Boy XTO and Bone Collector XTO model off-road utility vehicles manufactured by Textron Specialized Vehicles. The recalled four-wheeled vehicles are battery-powered and have a bench seat for a driver and one passenger and a two-passenger, rear-facing bench seat on the back. The vehicles were sold in camouflage, black, white, forest green, flame red, and patriot blue and the brand and model name are printed on the side and front panels. They have serial numbers ranging from 8000020 through 8004934. The serial number is located on the steering column connected to the wheel. The recalled utility vehicles, manufactured in the U.S., were sold at Bad Boy dealers nationwide from November 2010, through June 2013, for between $13,200 and $14,200. Consumers should immediately stop using the recalled vehicles and contact Textron Specialized Vehicles or an authorized dealer for a free installation of seat belts. Textron Specialized Vehicles is contacting all known purchasers directly. Consumers may contact Textron Specialized Vehicles toll-free at 855-738-3711 from 8 a.m. to 5 p.m. (ET) Monday through Friday or online at www.badboyoffroad.com and click on “Recall Information” for more information. Polaris Industries of Medina, Minn., is recalling about 2,800 Polaris Scrambler all-terrain vehicles (ATVs). The throttle release switch can fail, posing a crash hazard. The company has received nine reports of the throttle release switch failing, including two minor injuries. This recall involves all model year 2014 through 2017 Scrambler XP 1000 all-terrain vehicles. “Polaris” is stamped on the front grill and rear panel, and “Scrambler XP” on the center panel. Polaris Industries of Medina, Minn., is recalling about 1,600 GENERAL recreational off-highway vehicles (ROVs). Inconsistent tire pressure information can result in improperly-inflated tires, posing a crash hazard. This recall involves all model year 2017 Polaris GENERAL Base and GENERAL Hunter two-seat, side-by-side recreational off-highway vehicles (ROVs). Heat from the exhaust can melt the plastic panels, posing a fire hazard. Arctic Cat is recalling about 15,500 Arctic Cat recreational off-highway vehicles (ROVs) sold in the U.S., Canada and Mexico. Heat from the exhaust can melt the plastic panels behind the operator and passenger seat, posing a fire hazard. The firm has received 444 reports of the plastic panels melting, with 5 resulting in fires. No injuries have been reported. Arctic Cat of Thief River Falls, Minn., is recalling about 3,400 Arctic Cat ROVs with winches and winch accessory kits sold in the U.S. and Canada. The winch solenoid located under the operator seat can overheat, posing a fire hazard. The firm has received 49 reports of winch solenoid failure, with five resulting in fires. No injuries have been reported. The throttle limiter can fail posing a crash hazard. Polaris Industries of Medina, Minn., is recalling about 4,600 Polaris Phoenix 200 all-terrain vehicles (ATVs). The throttle limiter can fail due to damage during shipping, posing a crash hazard. The firm has received nine reports of a damaged throttle limiter, including one report of throttle limiter failure that resulted in minor injuries. This recall involves all model year 2014 through 2017 Phoenix 200 all-terrain vehicles. 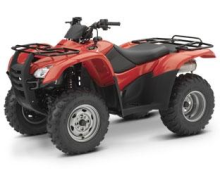 CFMOTO Powersports of Plymouth, Minn., is recalling about 5,300 CFORCE all-terrain off-highway vehicles (ATVs). The fuel hose can crack and leak fuel from the vehicle, posing a fire hazard. This recall involves model year 2016-2018 CFORCE 400, model year 2017-2018 CFORCE 500S and model year 2017-2018 CFORCE 500HO ATVs with 400cc to 500cc, 4-cycle engines. CFMOTO Powersports of Plymouth, Minn., is recalling about 1,800 recreational off-highway vehicles (ROVs). The throttle pedal can be pushed past the throttle stop and not return to the idle position, posing a crash hazard. 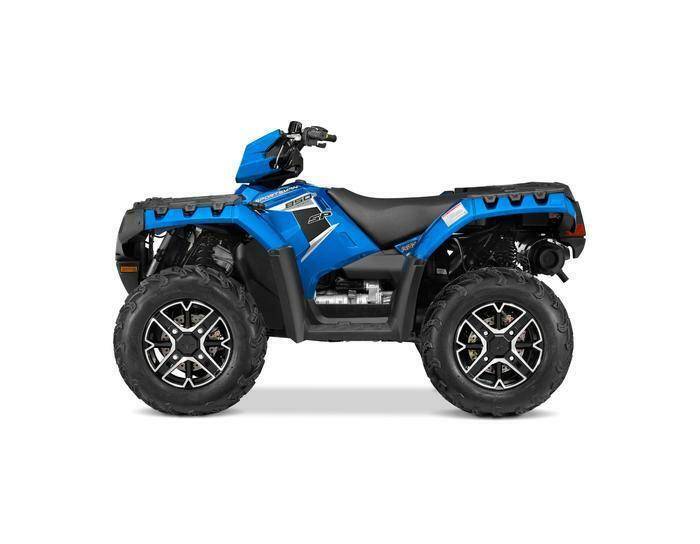 This recall involves model year 2018 ZFORCE 500 Trail, 2018 ZFORCE 800 Trail and ZFORCE 1000 SSV CFMOTO recreational off-highway vehicles with 500cc to 1000cc, 4-cycle engines. Arctic Cat of Thief River Falls, Minn., is recalling about 770 Stampede and Rustler off-highway utility vehicles (ROV’s) sold in the U.S. and Canada. The firm has received four reports of front suspension arm failures. No injuries or crashes are reported. This recall involves all model year 2018 Stampede and Rustler model side by side Arctic Cat off-highway vehicles with VIN number 9003240 through 9004062. About 1,600 Can-Am ATVs are being recalled. The Dynamic Power Steering (DPS) main shaft can crack and pieces can detach. Those pieces inside the DPS can block gears and cause limited steering ability, posing a loss of control hazard with risk of serious injury or death to the operator. BRP has received two reports of broken DPS resulting in limited steering ability. No injuries have been reported. Can-Am dealerships nationwide between September 2009 and November 2011 for between $6,800 and $13,500. Consumers should immediately stop using the recalled ATVs and contact their local Can-Am ATV dealer to schedule a free repair. BRP will contact registered owners directly. American Honda Motor Co. is recalling about 40,000 TRX 500 ATVs. Water can enter the throttle position sensor and freeze, causing permanent damage if the rider forces the throttle lever. This could cause the throttle to stick open, posing a risk of injury or death to riders. Honda has received two reported incidents of the throttle sticking, no injuries have been reported. This recall involves Model Year 2007 Honda TRX 500 ATVs, also known as the Honda Foreman and Foreman Rubicon. The adult-size ATVs are designed for use by riders age 16 and older. 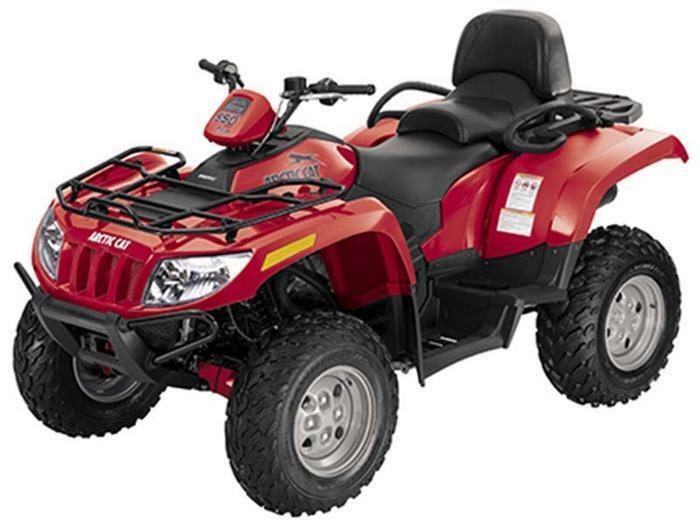 The 2007 model year ATVs are available in red, black, blue, olive, and camouflage. The Honda name and wing logo are printed on the fuel tank and the model name is printed on the side panel just below the seat. The ATVs were sold by Honda ATV dealers nationwide from June 2006 through December 2007 for between $6,500 and $7,600. They were made in the United States. Consumers should immediately stop using these recalled ATVs and contact any Honda ATV dealer to schedule a free repair. Registered owners of the recalled ATVs have been sent direct notice. For additional information, consumers can contact Honda (866) 784-1870 between 8:30 a.m. and 5 p.m. PT Monday through Friday, or visit the firm's Web site at www.powersports.honda.com. January 9, 2008 American Honda Motor Co. is recalling about 40,000 TRX 500 ATVs. Honda is recalling about 42,000 model year 2007-2008 TRX420 Rancher ATVs. If the ATV's rubber CV (constant velocity) boots get punctured or torn the joint will become contaminated and severe binding of the CV joints could occur, resulting in the sudden loss of steering control. This poses a risk of injury or death to riders. This recall involves Model Year 2007-08 Honda TRX420 ATVs, also known as the Honda FourTrax Rancher 4X4. 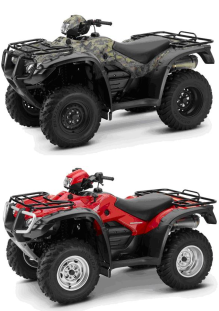 These are adult-size ATVs designed for use by riders age 16 and older. The recalled ATVs are available in red, black, olive, and camouflage. The Honda name and wing logo are printed on the fuel tank. The model year is printed on a label located on the frame behind the left front wheel. The model name 'Rancher' is on a label at the left rear of the ATV. The units were sold by Honda ATV dealers nationwide from January 2007 through May 2008 for between $5,300 and $5,600. They were made in the United States. Consumers should immediately stop using these recalled ATVs and contact any Honda ATV dealer to make an appointment for a free repair. Registered owners of the recalled ATVs have been sent direct notices. For additional information, consumers can contact Honda toll-free at (866) 784-1870 between 8:30 a.m. and 5 p.m. PT Monday through Friday, or visit the companys website at www.powersports.honda.com. July 17, 2008 Honda is recalling about 42,000 model year 2007-2008 TRX420 Rancher ATVs. American Honda Motor Co. is recalling about 1,400 model year 2008 Honda TRX500 ATVs. The electric power steering shaft of the recalled ATVs could break unexpectedly, resulting in the riders losing steering control. This recall involves Model Year 2008 Honda TRX500 ATVs equipped with electric power steering, also known as the Honda FourTrax Foreman 4X4 with electric power steering. The adult-size ATVs are designed for use by riders age 16 and older. The ATVs are available in red, black, olive, white, and camouflage. Honda and wing logo are printed on the fuel tank and TRX500 is printed on the side panel just below the seat. The ATVs were sold by Honda ATV dealers nationwide from October 2007 through March 2008 for between $6,850 and $7,400. They were made in the United States. Consumers should stop using these recalled ATVs immediately and contact any Honda ATV dealer to make an appointment for a free repair. Registered owners of the recalled ATVs have been sent direct notices. May 8, 2008 American Honda Motor Co. is recalling about 1,400 model year 2008 Honda TRX500 ATVs. The electric power steering shaft of the recalled ATVs could break unexpectedly, resulting in the riders losing steering control. About 1,700 Mongoose youth ATVs are being recalled by KYMCO. A manufacturing defect in the carburetor can cause the throttle to stick open, posing a risk of serious injury or death to the rider. This recall involves model year 2008 Mongoose 50cc, 70cc and 90cc Youth ATVs. KYMCO is printed on a label located on the front of the vehicle, and the model name is printed on a label located on each side of the fuel tank. The ATVs were sold by KYMCO dealers nationwide from August 2007 through June 2008 for between $1,700 and $2,100. They were made in Taiwan. Consumers should immediately stop using the recalled ATVs and contact any authorized KYMCO dealer to schedule a free repair. Registered owners were sent direct mail notification of this recall. June 26, 2008 About 1,700 Mongoose youth ATVs are being recalled by KYMCO. A manufacturing defect in the carburetor can cause the throttle to stick open, posing a risk of serious injury or death to the rider. Kawasaki is recalling about 6,000 2008 Model Year KFX 50 and KFX 90 Youth ATVs. The throttle can fail to return to the idle position when released or could fail to be at idle on start-up. This could result in loss of vehicle control, posing a risk of serious injury or death to the rider. 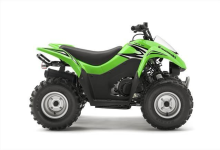 The recall includes 2008 model year KFX 50 (50cc) and KFX 90 (90cc) youth ATVs. The affected models are green or white with black trim. The model name is located on either side below the handlebars. The ATVs, made in Taiwan, were sold by Kawasaki dealerships nationwide from August 2007 through June 2008 for about $1,750 (KFX 50) and $2,200 (KFX 90). Consumers should immediately stop using the recalled ATVs and contact any authorized dealer to schedule a free repair. Registered owners were sent direct mail notification of this recall. For additional information, contact Kawasaki toll-free at (866) 802-9381 between 8:30 a.m. and 4:45 p.m. PT Monday through Friday, or visit the firm's Web site at www.kawasaki.com. June 26, 2008 Kawasaki is recalling about 6,000 2008 Model Year KFX 50 and KFX 90 Youth ATVs. The throttle can fail to return to the idle position when released or could fail to be at idle on start-up. This could result in loss of vehicle control, posing a risk of serious injury or death to the rider. American Honda Motor Corp. is recalling about 11,000 all-terrain vehicles because of a problem with the ball joints. The recall is for model year 2006 TRX450ER/R ATVs. The front suspension arm ball joints could have been contaminated during production, resulting in rapid wear of one or more of the ball joints and possible ball joint separation. If the ball joint separation occurs while riding, the operator could lose control of the ATV. American Honda Motor Corp. has received seven warranty claims about this problem. No injuries have been reported. The recall involves 2006 model year TRX450ER and TRX450R ATVs. They are adult-sized ATVs designed for use by riders age 16 and older. 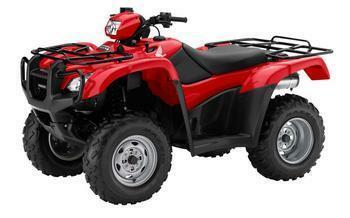 The ATVs are available in red or black. The TRX450ER and TRX450R model names are located on the front cowling just below the handlebars and the name Honda is printed on the seat. The units were sold by Honda dealers nationwide from September 2005 through December 2006 for between $6,600 and $7,000. Consumers should stop using these recalled ATVs until the repair has been completed. Call any Honda ATV dealer to make an appointment to have the ATV repaired. The dealer will inspect and repair your ATV, if necessary. Registered owners of the recalled ATVs have been sent direct notice. Consumer Contact: For more information, consumers can call Honda toll-free at (866) 784-1870 between 8:30 a.m. and 5 p.m. PT Monday through Friday, or visit the firms Web site at www.powersports.honda.com. January 31, 2007 American Honda Motor Corp. is recalling about 11,000 all-terrain vehicles because of a problem with the ball joints. The recall is for model year 2006 TRX450ER/R ATVs. Polaris Industries is recalling 14,000 Magnum, Trail Boss and ATP model all-terrain vehicles. The Consumer Product Safety Commission said damage to the fuel tank grommet can cause a fuel leak, posing a serious fire hazard to consumers. Polaris has received 265 reports of fuel leaks, including one report of a fire that damaged an ATV. No injuries have been reported. The recall involves the Polaris model year 2003 and 2004 Magnum 330 4x4 and Magnum 330 Mossy Oak ATVs; as well as model year 2004 Magnum 330 2x4, Trail Boss 330, ATP 330, and ATP 500 ATVs. The recalled ATVs have the following model numbers, which can be found on the certification decal located on the front center body panel: A03CD32(AA)(AC), A04CD32(AA)(AB)(AC), A04CB32(AA)(FC), A04CA32(AA)(AB), A04JD32AA, and A04JD50(AA)(AB)(CA). The name "Polaris" is prominently displayed on the right and left side of the seat and/or on the side body panels. The recalled units were sold in authorized Polaris dealers nationwide February through October for between $3,500 and $6,500. Polaris will notify all affected consumers to arrange free repair. Consumers can call Polaris at 800-765-2747 (800-POLARIS). November 14, 2003 Polaris Industries is recalling 14,000 Magnum, Trail Boss and ATP model all-terrain vehicles. Honda is recalling its 2004-2005 FourTrax All-Terrain Vehicles (ATVs). The steering rods can separate, causing the driver to lose steering control. This could cause the ATV to crash and pose a risk of serious injury or death. Honda has received 27 reports of steering rod separation. No injuries have been reported. The model numbers can be found on the identification label located on the left side of the frame down tube. The VIN number is stamped on the front side of the frame. The ATVs were sold at Honda motorcycle dealers nationwide from August 2003 through February 2005 for between $3,600 and $8,000. Consumers should stop using the recalled ATVs immediately. Registered owners of the vehicles will be notified directly by American Honda about the recall. All recalled vehicles will be repaired free of charge. Consumer Contact: For more information, consumers should call Honda toll-free at (866) 784-1870 between 8:30 a.m. and 5 p.m. PT Monday through Friday, or visit their Web site at www.powersports.honda.com. April 14, 2005 Honda is recalling its 2004-2005 FourTrax All-Terrain Vehicles (ATVs). The steering rods can separate, causing the driver to lose steering control. This could cause the ATV to crash and pose a risk of serious injury or death. Polaris Industries is recalling selected Sportsman and Scrambler model ATVs because of a problem with the electronic control modules in some units. Affected by the recall are the following models: Polaris 2004.5 Sportsman 500, 2005 Sportsman 400, Sportsman 500, Sportsman 600, Sportsman 700, and 2005 Scrambler 500. Some 2004.5 and 2005 Model Year Sportsman and 2005 Model Year Scrambler 500 ATVs were assembled with possibly defective Electronic Control Modules (ECM) which may fail and overheat. If this were to occur, excessive heat could cause a fire, possibly resulting in serious injury or death. Affected units can be verified by comparing the last six digits of the Vehicle Identification Number (VIN) to the serial number range in bold type below. NOTE: Not all 2004.5 and 2005 vehicles are affected. Please review the affected unit table below. Polaris has received 26 reports of the ECM overheating. No injuries have been reported. Only select model year Polaris ATVs are part of this recall. The Sportsman ATV model and serial number identification decal is located on the right front side of the front radiator covering. The Scrambler 500 ATV model and serial number identification decal is located on top of the front cab cover. The VIN, or serial number is permanently stamped into the left frame rail behind the left front wheel of all Polaris ATVs. Polaris dealers sold these ATVs nationwide from August 2004 through February 2005 for between $5,999 and $7,299. Remedy: Free repair. Contact your Polaris ATV dealer to schedule an appointment for ECM replacement. Polaris has notified registered affected consumers directly about this recall. Consumer Contact: Call Polaris at (800) 765-2747 between 8 a.m. and 12 midnight ET everyday, or log on to the companys Web site at www.polarisindustries.com. 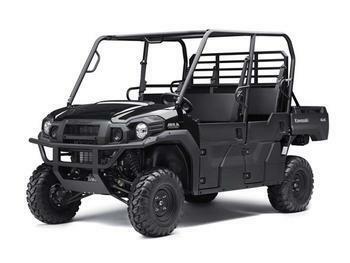 May 3, 2005 Polaris Industries is recalling selected Sportsman and Scrambler model ATVs because of a problem with the electronic control modules in some units. 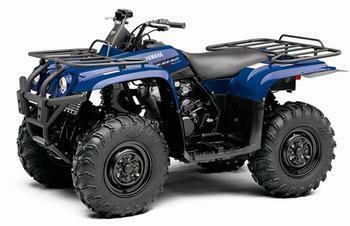 Yamaha is recalling about 70,000 ATVs because of a problem with the tie-rod ends that could cause steering problems. Affected models include the Yamaha Bruin 250, Bruin 350 4WD and 2WD, Big Bear 400, Kodiak 400, Kodiak 450, and Wolverine 450 ATVs. The protective boots covering the steering systems tie-rod ends (universal joints) on the recalled ATVs could be pinched during installation or adjustment, cutting a hole in the rubber. If this occurs, grease could escape, and contaminants such as sand or mud could get into the assembly through the hole, causing accelerated wear. This could result in abnormal steering free play. If the ATV continues to be operated without repair, the ball and socket portion of the tie-rod end could wear to the point that they separate, resulting in loss of steering control, which could cause a vehicle crash with injury or death. Below is a list of make, model and vehicle identification numbers (VIN) involved in the recall. Yamaha dealers sold these ATVs nationwide from 2004 to October 2005. The manufacturers suggested retail price for the affected ATVs ranged from about $3,500 to $7,000. Registered owners of the affected units were notified directly by mail sent on October 14, 2005. Consumers should stop using their ATV immediately and contact an authorized Yamaha dealer to schedule an appointment for repair. Consumer Contact: Call Yamaha at (800) 227-5963 between 8 a.m. and 6 p.m. ET everyday, or log on to the companys Web site at www.yamaha-motor.com. November 4, 2005 Yamaha is recalling about 70,000 ATVs because of a problem with the tie-rod ends that could cause steering problems. Affected models include the Yamaha Bruin 250, Bruin 350 4WD and 2WD, Big Bear 400, Kodiak 400, Kodiak 450, and Wolverine 450 ATVs. Polaris Industries is recalling about 4,700 2009-model ATVs. The valve assembly can fail in freezing temperatures, causing oil to leak into the exhaust system. This could pose a fire and burn hazard to the rider. The firm has received six reports of the valve assembly failing in freezing temperatures, resulting in three small fires. Minor fire damage to air boxes, ignition coils and the seat were reported. Polaris dealers nationwide sold the ATVs from September 2008 through June 2009 for about $9000. Consumers should immediately stop using the ATV in sub-freezing temperatures and contact their local Polaris dealer to schedule a free repair. Registered owners have received direct mail notification of this recall if they are likely to experience consistently sub-freezing temperatures. For additional information, contact Polaris toll-free at (888) 704-5290 between 8 a.m. and 5 p.m. CT Monday through Friday, or visit the firms Web site at www.polarisindustries.com. Polaris Industries is recalling about 8,500 ATVs from the 2009-2010 model years. The front suspension ball joint stem can separate from the steering knuckle and cause the rider to lose steering control, posing a risk of injury or death to riders. Polaris has received 19 reports of incidents involving the recalled ATVs. No injuries have been reported. This recall involves model year 2009 and 2010 Polaris Sportsman ATVs (models listed below) with certain VIN numbers. The ATVs were manufactured between January and August 2009. The VIN number and manufacture date are located on the right front of the ATV on the frame rail next to the front shock. Polaris dealers nationwide sold the ATVs from February 2009 through November 2009 for between $7,500 and $10,800. They were made in the United States. Consumers should immediately stop using the recalled ATVs and contact their local Polaris dealer to determine if your model and VIN number are included in this recall and to schedule a free repair. Polaris is directly contacting registered owners about the recall. For additional information, contact Polaris toll-free at (888) 704-5290 between 8 a.m. to 5 p.m. CT Monday through Friday, or visit the companys Web site at www.polarisindustries.com. December 22, 2009 Polaris Industries is recalling about 8,500 ATVs from the 2009-2010 model years. The front suspension ball joint stem can separate from the steering knuckle and cause the rider to lose steering control, posing a risk of injury or death to riders.